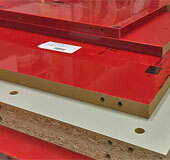 Sheet Materials such as MDF, FR MDF, MDF Tricoya, MFC, MR MDF, Birch Ply. Submit your cut list, Edging and Spray Finish requirements Online for Instant Quote. 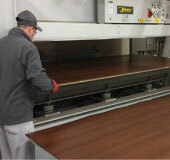 Create bespoke laminated board using any core material, Cut To Size, instant Quote ONLINE. 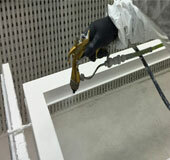 Interior and Exterior coatings. Huge Colour Choice from leading Manufacturers. 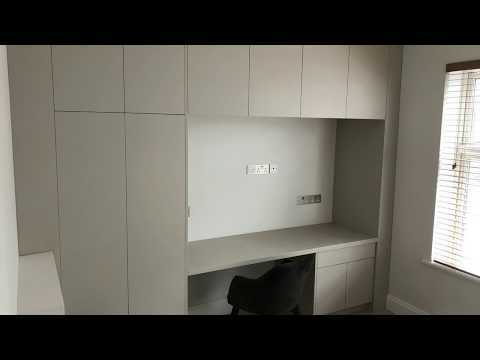 100's of templates available to build kitchens, wardrobes, study rooms and more to any spec. 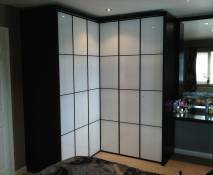 Build Custom Wardrobes using our Online templates. Living Room, Bedroom, Kitchen or Study, order online or email us your requirements. 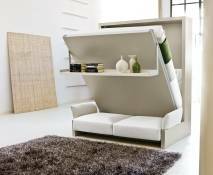 Our range of beds will accommodate any type of room. Contact Us for more information. 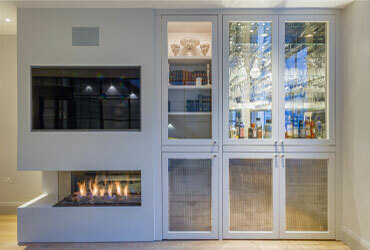 Since 2004, we have offered an exceptional service to Trade and Residential customers in Various Cabinetry projects as well as cutting and edging of boards to exact required sizes on a wide range of materials. Birch plywood, Melamine Faced Plywood (MF PLy), Melamine Faced Chipboard (MFC), Medium Density Fibre Boards (MDF) and more. Our 6500 sq. ft. Factory houses the latest computer controlled equipment used by our highly trained & skilled staff members to ensure your items are produced to the very highest standards and pinpoint accuracy. We are capable of delivering large production volumes at a fast turnaround, delivered direct to your door. Alongside our cutting services, we also offer press laminating, edge banding, carcasses, custom built furniture and spray finishing. We offer Online Cutting and Edging service with Instant Quoting. 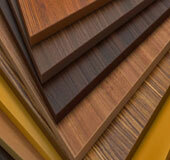 Cutting patterns, number of boards required, cutting times, edge banding as well as finishing costs. Huge material selection with prices and available sizes. Vast database of edge banding materials with flexibility of selections. Spray Finishing options and instant Quoting available for Clear Lacquer, Spray Primers and Colour Spray finishing options. For more detailed video tutorials please click this link. We are continuously adding new templates for Various Furniture carcases where any type materials such as MDF, Melamine Faced Chipboard, Melamine Faced MDF, Plywood can be used to construct carcases with custom dimensions, various edging selections as well as finishing options. Component of drawer boxes, doors with specific routed handle details, types of shaker or plain doors can be selected during the process. 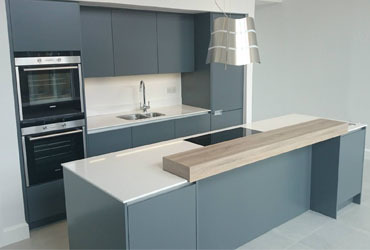 We aim to supply quality bespoke cabinetry to specific measurements to Trade and Public Online. Ironmongery as well as drilling will be supplied based on selection of components and specific templates. We are the only Company providing such unique Online service in the whole of the UK. 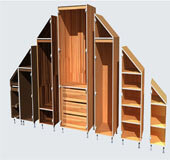 A one stop shop for any cabinet maker or enthusiast under one roof. For 3D Furniture Planner tutorial videos click here. Submit your cut to size list online. We have over 450 unique boards you can choose from. 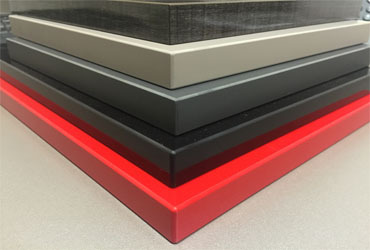 Need edge banding on that panel? Not a problem. We can edge band almost any panel. Just tell us what you need! Want that new wardrobe to have the shiny gloss look? We have professional facility just to do that! We have a range of standard wardrobes, all you would need to tell us is your dimensions & colours!